It has been too many months since we've been back home to Southern California. I'll be honest—when the weather is nice like it is right now, with the sun shining and a slight breeze, it just makes me miss SoCal so much. 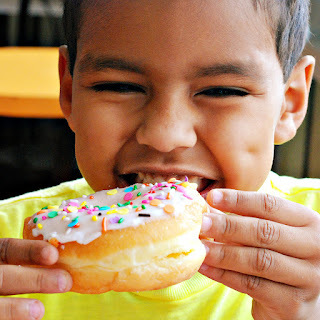 Last year I shared a 48-hour guide to free and cheap fun for kids in Orange County. 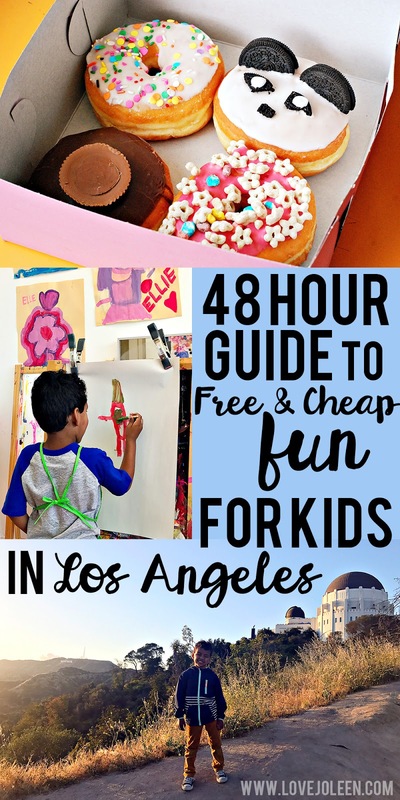 Today, I thought I'd share a 48-hour guide to free and cheap fun for kids in Los Angeles. If you find yourself in Southern California with kiddos in the future, I hope you'll check out some of the fun things to do on this list! Address: 3540 W. 3rd Street, Los Angeles (main location); We visited the one at 5753 Hollywood Blvd., Los Angeles. Cost: Specialty donuts are $2, $2.50, or $3 each. Classic donuts are $1.25 each. Buy 6 donuts get $1 off; buy a dozen get $2 off. Iced and hot drinks available, as well as croissants and other baked goods. Prices vary. Treat yo' self: I first discovered California Donuts on Instagram last year when they collaborated with Care Bears for 35 Years of Caring. As you can see in the photo above, they offer several adorable Instagram-worthy Specialty donuts daily, but you can also pre-order custom donuts a week or more in advance. There is a calendar online with availability. The "Donut Design Details" form gives you an opportunity to describe your idea and even attach a photo of what you're looking for. 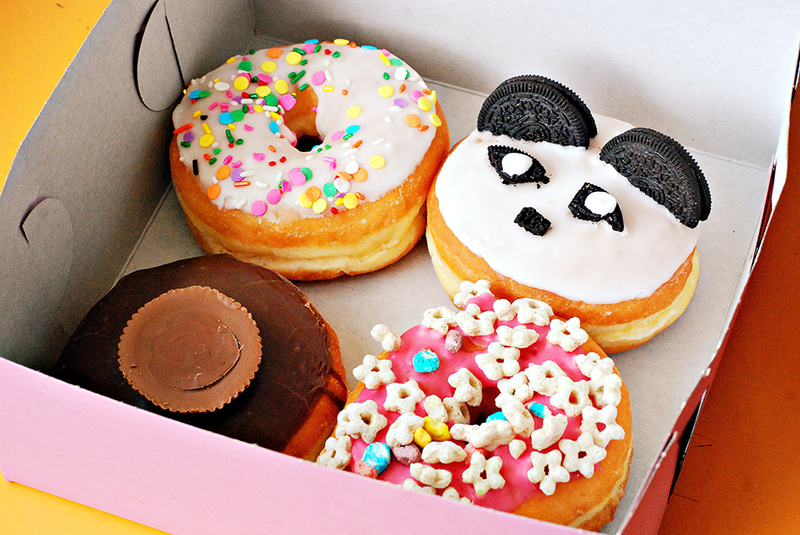 You can also order donuts in the shape of letters to spell just about anything you want! Celebrating a birthday or... unbirthday? *wink* Check out the 8x8 donut in lieu of a birthday cake. So fun! Calories don't count on vacay, amiright? Hours: 12 to 10 p.m. Tuesday through Friday. 10 a.m. to 10 p.m. Saturday and Sunday. Closed Mondays. Cost: Admission to the Observatory building, grounds, telescopes is FREE. Parking near the Observatory is limited and costs $4 during open building hours. DASH Observatory public low-cost bus service is available. There are fees associated with the Planetarium—$7 adults, $5 seniors and students with I.D., $3 children ages 5 through 12. Children under age 5 are only admitted to the first show of the day and must lap sit. Tickets may be purchased in person, the day of the show. A visit to Griffith Observatory should be on everyone's L.A. bucket list, and is truly a great option for all fitness levels. Many people hike up the mountain for this spectacular view of the city and Hollywood sign alone. You can bus up to the Observatory if you're looking to sweat a little less. Admission is always free. This was such a fun experience with my son, who was just starting to learn about planets and the solar system. We loved exploring the building and of course taking in the view. Word to the wise: Don't forget your camera like I did. Hashtag duh. 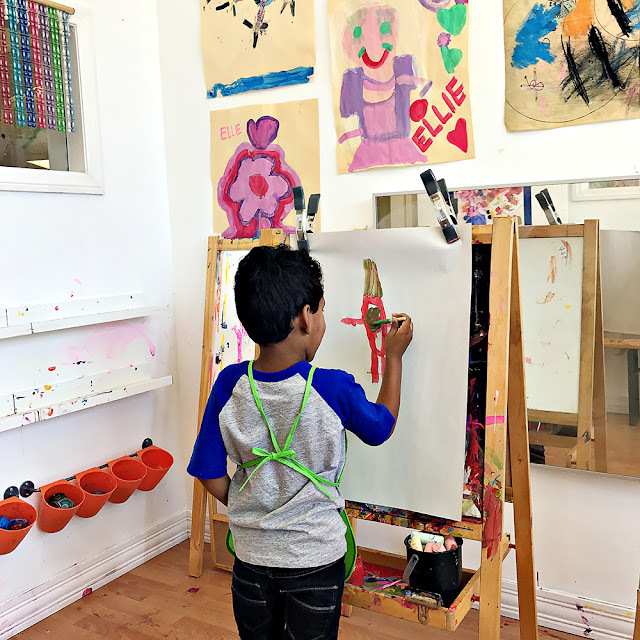 Hours: Open Studio takes place on Tuesdays and Wednesdays from 3 to 5 p.m. All ages are welcome and drop off is available for children ages 5 and up. 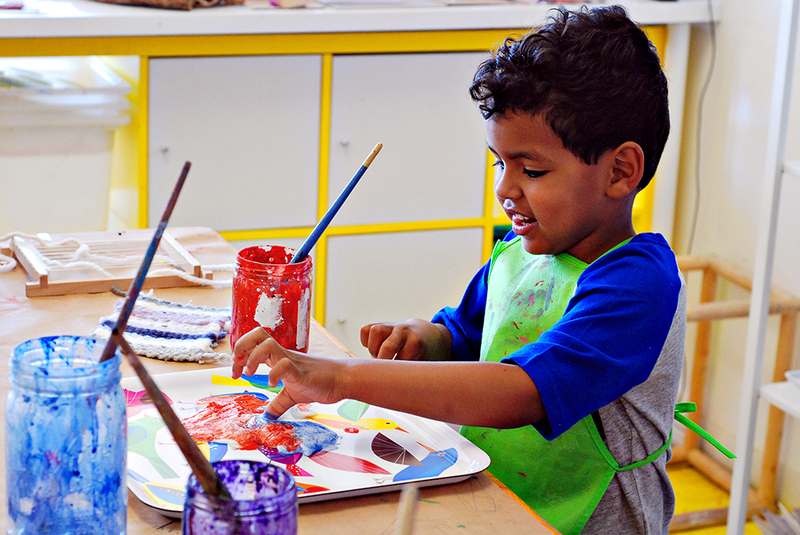 This is the best 20 bucks you'll spend to entertain your kiddo in Los Angeles. It was worth the traffic we had to sit in to and from where we stayed in Glendale. Two hours may not sound like a lot of time but it was plenty for Benjamin to create several works of art. I wrote all about this magical art studio for kids on Mommy Nearest. 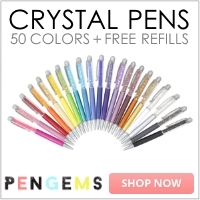 Check it out, here! I'd love to hear your favorite fun, free and cheap things to do with kids in Los Angeles. I'll be sharing my guide to Atlanta soon!